More Information Discover the possibilities! 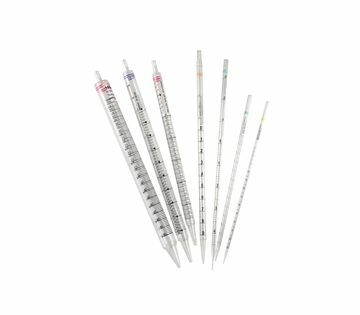 STARLAB’s new extended range of Serological Pipettes cover seven different volumes and, for the first time, includes a 100 ml pipette. The pipettes are constructed from polystryene for sterile serological and tissue culture applications. Colour-coding on both the pipettes and the packaging provides easy identification. The black printed, easy to read ascending and descending graduations simplify fluid measuring and dispensing, and all pipettes (excl. 100 ml) feature negative graduations for extra working volume. Perfect for use with all popular pipette controllers, including ErgoOne® FAST.